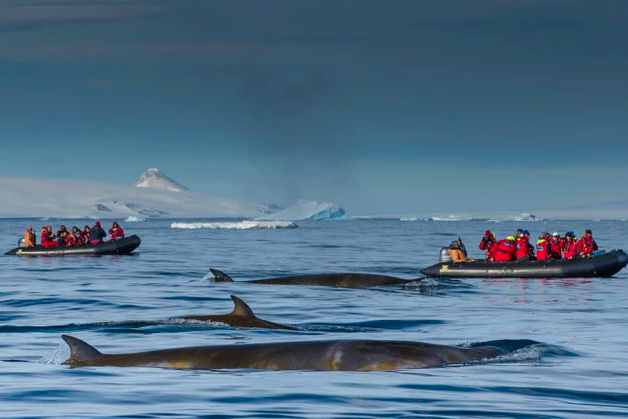 Announced earlier today, the first-ever organized kosher cruise to Antarctica will be setting sail this December on a ship operated by One Ocean Expeditions. Organized by Dan Eleff of DansDeals and Morris Hersko Photography, this is being billed as a once-in-a-lifetime luxurious program for halachic observant travelers to experience the 7th continent in style. 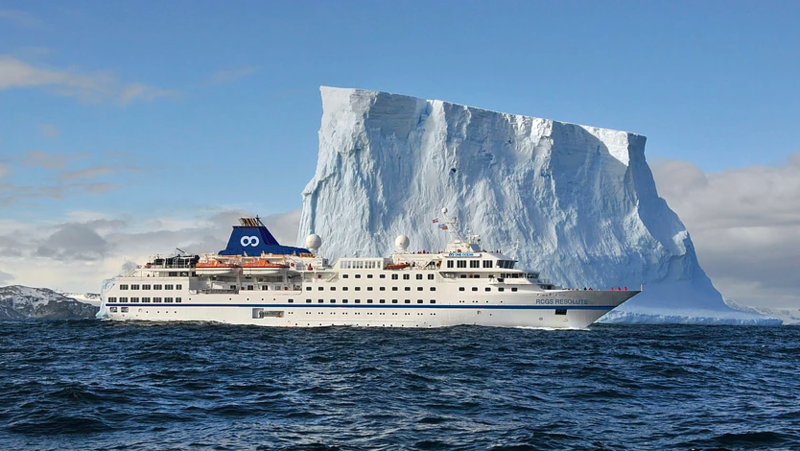 Kosher Antarctica will be catered by L’Orchidée Traiteur from Montreal offering Cholov Yisroel, Pas Yisroel, Glatt, and Chassidishe Shechita cuisine with a Mashgiach Temidi on board. Breakfasts and lunches will be served buffet-style, while dinners will be sit-down with fine tableware, wines, and waiter service. 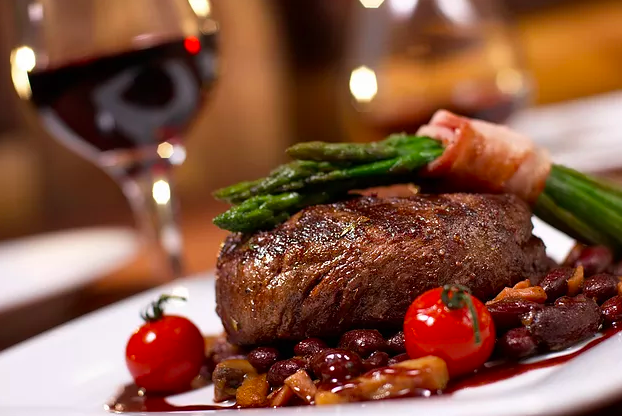 To top it all off, the at the end of the program travelers will be provided with a packed lunch and dinner before disembarking the ship, to enjoy on flights home. That is genius planning for the Kosher Traveler! 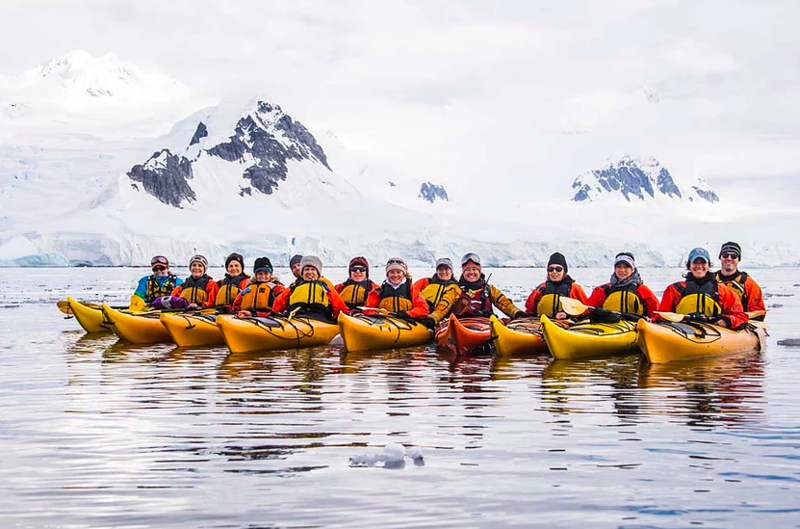 This program includes celebrating the last night of Chanukah 2018 in Ushuaia, Argentina (the capital of Tierra del Fuego), the southernmost commercial airport in the world; fasting Asara b’Tevet on board the cruise ship, cruising the Drake Passage, and celebrating Shabbat on board whilst watching icebergs or whales. All of this has been thought of and prepared for by the organizers. Additionally, the program organizers did their due diligence so that only one Shabbat is spent away from home and there’s only one cruise date that met their specific criteria: a cruise embarking on Monday Dec 10th 2018, although participants are urged to leave from NYC Motzei Shabbat Dec 8th. (Read Dan’s blog about the difficulties in finding the right dates and tour organizer willing to take on a kosher program). This luxurious program does not come cheap. While there is an early bird special of a $1000/pp discount if reserved before the end of July, the cheapest options on board will run you $12,995/pp (with the early bird discount) and as much as $23,495/pp for the One Ocean Suite (with the early bird discount), which means couples will spend between $26,000 and nearly $50,000 for this 10 day program, before flights to Buenos Aires and then to Ushuaia. True to form, those hoarding many points may be able to cash those in with a DansDeals-run program. A day in Ushuaia with the option to take a cruise on the Beagle Channel or take a trek in nearby Tierra del Fuego National Park. 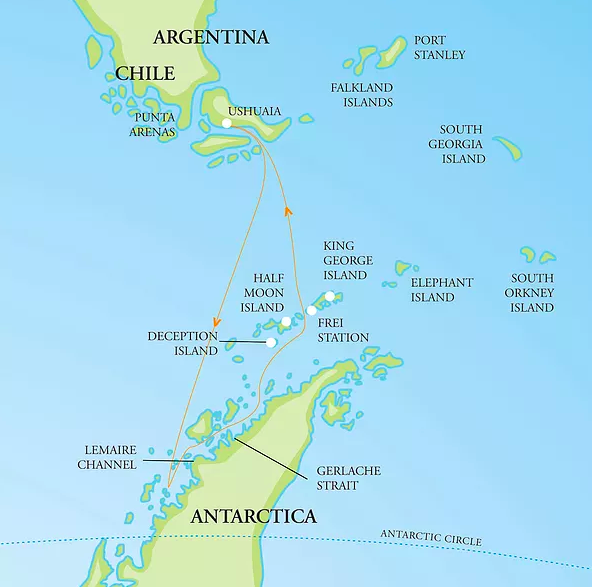 The next two days are spent out at sea sailing the Drake Passage. 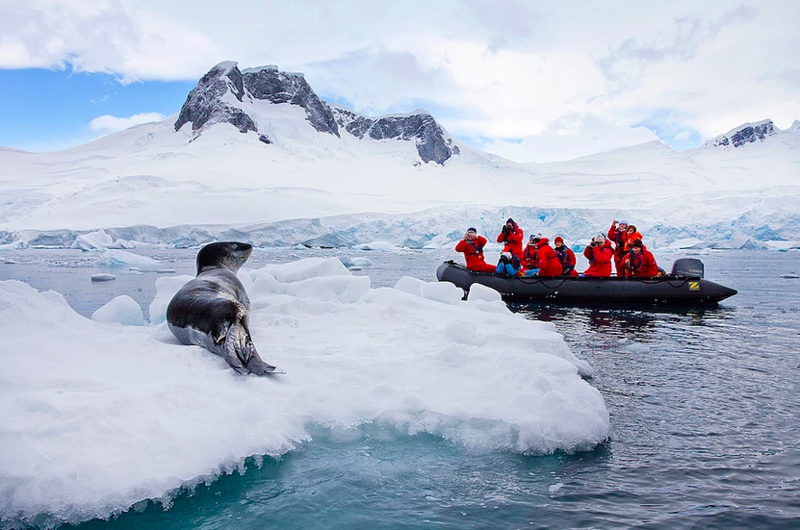 Days 4-8 are spent on Antarctica taking in the stunning scenery and abundant wildlife, exploring the Antarctic Continent (weather permitting), hiking and snowshoeing, overnight camping, station visits, kayaking, and more. The last 2 days are spent back on the ship heading back to South America, which will include seminars from DansDeals, and other on board activities. Shabbos will be one of the highlights of the trip, as as we spend it together as the southernmost Jewish “community” on Earth. We will partake in wonderful Heimishe Shabbos meals, a morning Kiddush after davening, as well as Seuda Shlishis and Melava Malka. 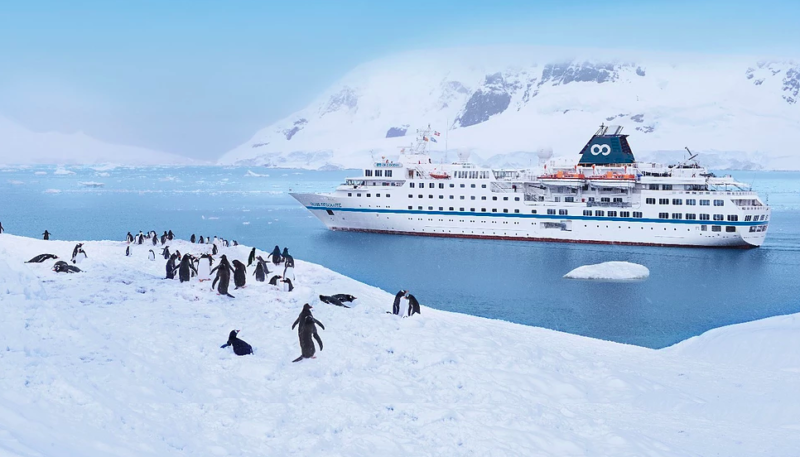 Imagine a Friday night kumzitz on the ship’s heated deck, under the velvet sky of the perpetual Antarctic twilight, singing warm Shabbos zemiros while watching massive icebergs drift by… This is Shabbos in Antarctica.